Today’s guest blog post is brought to you by Kenneth Weene. It was, the school administration assured us students, a new idea: combining American history and English into one course, which would focus on The Civil War. At an old New England boarding school there was no War Between the States and certainly no War of Northern Succession. Yankee all the way. By then, Junior year, I was an avid reader and a lover of history. This new eleventh year English course was designed in my personal heaven. And let there be no question, the results lived up to my expectations. That high school English course changed my perspective on literature, and on the interplay of history and novels. 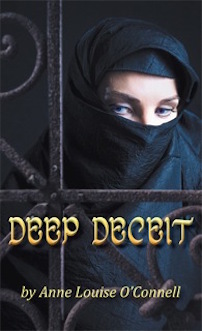 I loved the way authors could interweave real events with their fictional characters. The more true to history the events were, the surer I was that this was great writing. But, I had conflicted feelings because there was another body of literature that I also loved, what I call fiction from history, the contemporary fiction from times before I was alive. These wonderful books transported me to those times and made them real. Perhaps best typified by Dickens, who brought to life the pain and poverty of the English masses, by Steinbeck, who dragged my soul through the suffering of the great depression, by Fitzgerald who helped me live the wild abandon of the roaring twenties, and by Conrad, who carried me into the darkness of not just Africa but colonialism as well. These great writers didn’t focus on real events; rather they focused on creating the climate in which those events happened. Of course, these great writers were not setting their stories in history; they were writing about the world around them. These were powerful novels from history captured the human condition. They rose above the immediacy of the world in which they were written to become timeless. The reader of today who reads this books is suspended beyond time. That suspension of the fourth dimension is perhaps best recognized by Vonnegut, whose masterpiece “Slaughterhouse-Five” begins grounded in an historical event only to end in a paean to post traumatic stress disorder and the inability of Billy Pilgrim to escape the loop of experience which has neither beginning nor end. Today’s Author Spotlight, the four hundred and first, is of poet and non-fiction author Nina Bingham. If you would like to take part in an author spotlight, take a look at author-spotlights. 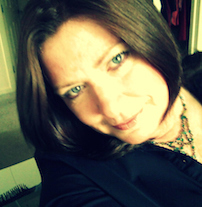 Nina Bingham is an Author, Life Coach, and Clinical Hypnotherapist. Inspiring, sincere and whole-hearted, she educates not only from her academic knowledge, but shares from her own hard-won life experience in a new and profound way. 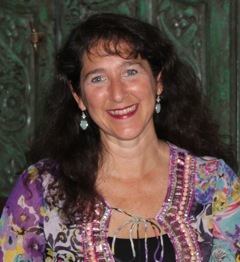 In private practice since 2003, she has treated individuals and couples with a wide variety of mental health issues. She is the author of three books of poetry and one recovery workbook, Never Enough. Her fifth book, “Once The Storm Is Over: From Grieving to Healing After The Suicide of My Daughter”, came out last month, February 2015. It’s the autobiographical confession of a counselor who lost her teen daughter to suicide. Once the Storm is Over chronicles Nina’s descent into grief after the suicide of her daughter. For a year she tormented herself, wondering how she had missed the signs. Finally she came to understand that her daughter, like many, many teens, was adept at hiding her deepest emotions – fear of seeming weak or “crazy” kept her daughter from sharing her distress. Nina says that releasing her guilt was a huge part of her healing process. Nina’s goal is to get copies of the book not only to teens in crisis, but to parents dealing with the depression and guilt that follows the suicide of a child. As most of us know, teen suicide is becoming epidemic. Every 13.3 minutes someone in the U.S. commits suicide, making it the #1 cause of accidental death for Americans, surpassing car accidents for the first time in 2012. We’ve all had books that influenced us, or changed us entirely. Nina would like Once the Storm is Over to be that book for the people who need it most. Today’s guest blog post is brought to you by Jim Webster. I suppose it’s the obvious second step. You’ve done the ‘indie’ writing thing, stuck your book on Kindle, but what about working with a proper publisher? And what better that a Small Publisher! Like Terry Pratchett’s Count Casanunda, they try harder. As always there are pitfalls as well as advantages. Let’s look at the pitfalls first. The person might just be a rogue. Publish the book, take the money, go bust. Repeat under new name. Frankly the amount of money to be made probably doesn’t encourage this as a policy, but you could still sign with someone who decides that they’re not going to bother paying you anyway and if you don’t like it, ‘Sue them’. Given they’re based on a different continent, and they probably don’t owe you more than a few hundred pounds, it’s unlikely that you could justify the legal costs. But it can be heartbreaking to see somebody loose their big break because someone else got greedy, pocketed the money and closed the business. The next pitfall is that small publishers tend to be what Americans call ‘Mom and Pop operations’. There’ll be one or two people running it, and they’re probably married or whatever. This is both a strength and a weakness. The weakness is that if they divorce then the business is probably doomed. This isn’t going to help your sales. So check your contract, make sure that stuff reverts to you and that you cannot be ‘sold on’ without your permission. The third thing to remember is that publishing is expensive. That box of books you ordered that you’re having set against your sales could have cost your publisher £200. If they’ve got 20 authors on their books, that’s £4000 they’ve got out. A small publisher is going to be constantly strapped for cash, constantly cutting corners to pay their way. They’ve probably still got to do their day job to ensure their family eats. On a serious note here, if you find a small publisher where they have given up the day job and expect to be paid out of the business, be very careful. Unless they’ve been established a long time and have excellent author sales figures, they’re going to go bust. So let’s not be negative, what are the positives? Let’s assume they’re competent, hardworking and switched on. Firstly they’ll have contacts and probably know more than you do. So they should be able to generate more sales and get you more exposure. They’ll certainly do some of the work with regards producing the book, deal with Lightening Source, that sort of thing. They could be ideally placed to give you good advice. Today’s Author Spotlight, the four hundredth, is of mystery romance author Joe Cosentino. If you would like to take part in an author spotlight, take a look at author-spotlights. 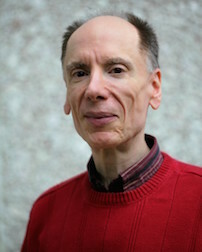 Joe Cosentino is the author of An Infatuation (Dreamspinner Press), Paper Doll, the first Jana Lane mystery (Whiskey Creek Press), Drama Queen, the first Nicky and Noah mystery (Lethe Press-releasing this summer), and The Nutcracker and the Mouse King (Eldridge Plays and Musicals). Joe is currently Head of the Department / Professor at a college in upstate New York, and is happily married. His upcoming novels are Porcelain Doll (the second Jana Lane mystery) and Drama Muscle (the second Nicky and Noah mystery). 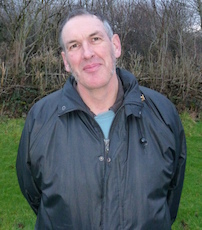 Today’s Author Spotlight, the three hundred and ninety-ninth, is of multi-genre author Alan Place. If you would like to take part in an author spotlight, take a look at author-spotlights. From an early age, Alan found he had a talent for telling stories, but it wasn’t until he read http://en.wikipedia.org/wiki/The_Silver_Sword did he realise, being a writer may be his calling. All through his school days, he was never happier than reading, or telling stories; he was more often found in the library than playing sports; in later life he found out this probably saved his life as he suffered from http://en.wikipedia.org/wiki/Hypertrophic_cardiomyopathy , an inherited illness which kills otherwise healthy athletes suddenly, and for no apparent reason. In between the dream, and the realisation of a dream, was a little thing called “life,” and it took over 50 years to reach a stage where he had the time to write. His earliest stories were westerns, but he as yet hasn’t done any for sale; five years ago after he became disabled, he decided to take up writing, and made a rep for writing ghost stories. These have been good sellers in the UK http://www.amazon.co.uk/dp/B00BNDHL0U and he has been in the Amazon top 20 Ghost Anthology section several times. 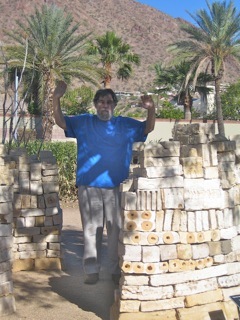 Three years ago he started a blog http://alsdomain.weebly.com/which will close this month http://alsdomain.weebly.com/whats-happening/it-doesnt-matter-anymore other than contact with a few close friends, and his friends on https://www.facebook.com/groups/665685033479843/ and http://thepeacockwriters.weebly.com/ he will effectively be off line. Today’s guest blog post is brought to you by romance novelist Elizabeth Bailey. A collection of authors writing in the same genre is a must. 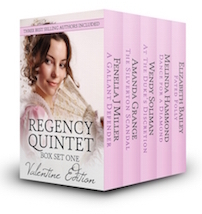 The five of us in our box set are all Regency writers, so that was a good start. How do you find them? The obvious way is to look amongst your writer friends and acquaintances. Often writer groups put out anthologies together. But if you are going to put out full-length books, you may have to go further afield. Do you belong to a writers’ organisation? We are all members of the Romantic Novelists’ Association in the UK, and we often meet at events. We know each other, not necessarily well, but we were able to locate enough writers in the same genre from this large pool. The hardest thing to face is that you want writers of similar calibre. This means taking a good look at your own ability and level. You may not be a bestselling author, but are your books of good enough quality to align with those who are? How experienced are you compared to the rest? Also look at your prospective fellow authors. Check out their books. Would you read them? Would you be happy to recommend them? These are important considerations, because you all need to be rooting for success together, and you must believe in the value of the box set. Fortunately, our five contributions match very well in terms of quality, and we all like reading each other’s books. Each author then has to decide which book will go in the set, ensuring no two books are too alike. Having chosen the book, you need to decide which platform to publish it on. Then make sure that all the books are available and meet the criteria of the platform. Amazon, for example, has a number of exclusivity clauses, depending whether or not you go into its Select program. One of the authors has to take responsibility for publishing the box set on their account on the platform, and be willing to share out the profits after costs are met. All the authors need to agree on a publishing date and a promotion campaign, each one playing their part in getting the box set noticed. Don’t forget the cover! It’s worth paying out for a good one as you need the box set format and a really attractive come-on general picture that will work for all the stories. Proofing is a must! You don’t want typos and errors all over the place. We each proofed the whole thing, so there were five pairs of eyes going over it and we must have caught most of the mistakes.